For some commercial sites and events, a visible security presence is enough to reduce risk. For those situations, International Protective Service, Inc. (IPS) offers security services staffed by New Mexico Level I and II* (unarmed) guards. Level II officers may use non-lethal force, which may include OC spray and baton. Because IPS has our own private dispatch, our unarmed guards are able to immediately call for backup should an armed officer be needed on-site. 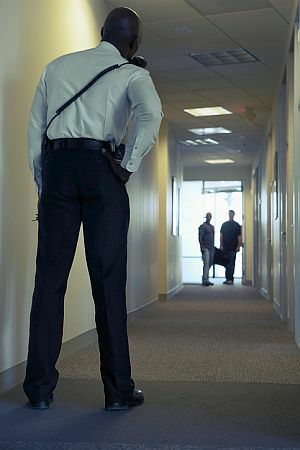 Unarmed uniformed officers are often the highest level of security presence needed in some commercial settings. However, location, type of business operations, value of inventory and assets, history of threats, etc. may warrant armed guard services. You never have to make the call on your own. IPS are the security experts. We apply our experience to determine the security risk level at your place of business to make recommendations for commercial security services. To increase security at your facility, contact us for a free security assessment. You may also opt for a more in-depth evaluation of your business’ security policies, infrastructure and operations through commercial security consultation. Call International Protective Service for a free security assessment.